A Dutch-based developer and Kodi addon repository administrator has shut down his operation following threats from anti-piracy outfit BREIN. Due to the XvBMC-NL repo offering addons including Covenant and IPTV Bonanza, BREIN accused its operator of facilitating access to infringing content. He is now required to sign an abstention agreement and pay a settlement of 2,500 euros. As the battle to prevent unauthorized content getting into the hands of the masses continues, Kodi remains one of the leading platforms for such consumption. Completely legal as it leaves its official download platform, the Kodi software is easily modified to provide access to pirated movies, TV shows, and live sports. From here on in, usage of such a setup to infringe copyright is illegal in Europe. With this established, anti-piracy outfit BREIN has been attempting to stem the tide of platforms offering ‘pirate’ addons in the Netherlands. One of those was XvBMC-NL, a repository which contained addons including the hugely popular Covenant and live TV addon IPTV Bonanza. According to a report by BREIN, last month the Dutch developer and administrator of XvBMC-NL received an unwelcome visit to his home by bailiffs sent by the anti-piracy group. BREIN hasn’t made the precise contents of its message to ‘Z’ known but it’s clear that it views his work as illegal and contrary to copyright law. The developer shut down soon after. “At the end of July, the Dutch developer/administrator Z stopped his Kodi repository XvBMC-NL after the bailiff delivered a summons from BREIN to his home address,” BREIN explains. At the time of writing, XvBMC-NL’s Facebook page is down and its Github repository carries no mention of BREIN. “‘XvBMC Netherlands’ has decided to shut down this page and lock it (as of 26-07-2018). Also the ‘XvBMC Repository’ is also offline, or emptied so that it will no longer be usable,” it reads. While there is no mention of BREIN now, that hasn’t always been the case. 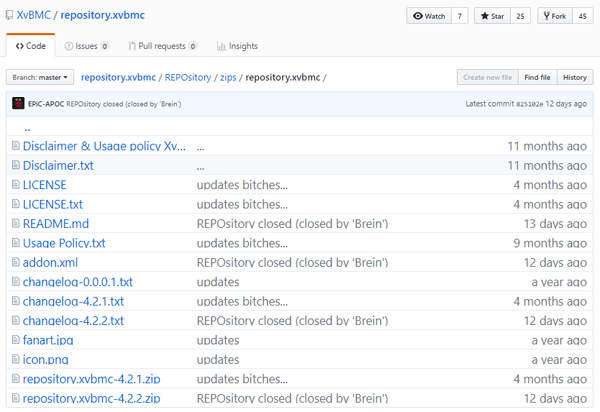 According to a cached copy obtained from Google, the repository’s Github page previously indicated it had been shut down following BREIN action. Many addon developers and operators of repositories insist that what they do is legal. They do not place any illegal content online themselves and do not take part in the actual transfer of illegal content among their users. It’s a stance previously taken by XvBMC-NL but not one that stands up when faced with more recent rulings handed down by Europe’s highest court, BREIN notes. 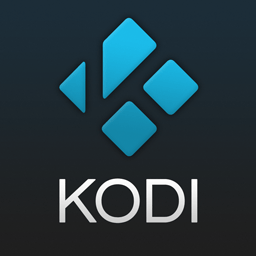 “The Court of Justice of the EU ruled in its Filmspeler judgment of 26 April 2017 that the provision of pre-programmed software, such as Kodi with add-ons, infringes copyright if it provides access to unauthorized sources on the Internet,” BREIN writes. Supplying addons in the knowledge that they provide access to illicit content is an important piece of the puzzle but as BREIN points out, under EU law the addons themselves are also infringing. “The add-ons for the illegal sources are directly infringing and the offer of those add-ons is also directly infringing, i.e it is considered to be unauthorized making available of copyrighted works. This applies not only to the sale of media boxes with illegal add-ons but also to the illegal add-ons themselves and their offerings even without a media box,” BREIN notes. While XvBMC now appears to be non-operational, BREIN isn’t quite done yet. The anti-piracy group wants ‘Z’ to sign an abstention agreement (with penalties for breaches) and pay a cash settlement of 2,500 euros. If this compromise can’t be reached, BREIN says it will launch legal proceedings against ‘Z’ with a view to recovering all of its costs.